SHOCKING new figures have revealed that 184 Spaniards a day were evicted from their homes in 2013. A total of 67,189 people were forced from their homes last year, for failing to keep up with mortgage payments or falling foul of tenancy laws. For the first time, eviction figures have been released by the General Council of the Judiciary, that reveal the true extent of the eviction epidemic. Cataluna saw the highest eviction rate, with 23.8% of the total, followed by Valencia with 14.6%, Andalucia with 13.8% and Madrid with 13%. The number of open cases of home foreclosures, however, dropped to 82,650 – down by 9.8% from 2012. The fall is due to new legislation passed in 2013, that gives judges power to prevent evictions if they believe clauses in the contract are ‘abusive’. The dramatic rise in eviction rates has led to numerous protests demanding change to Spanish law, which currently leaves homeowners liable for mortgage payments even after losing their properties. Previous articleTICK-TOCK, don’t forget to change your clock! There are enough empty homes in Spain to house all the homeless in Europe, yet Spain continues to evict people. What a mess this country is. Sadly the evictions are the result of a collapsed economy and I lay blame for that at the feet of the previous government which presided over ludicrously high and unsustainable spending. People keep blaming the banks for the collapse of the economy, whereas it was in fact the government’s crazy borrowing and spending without any perceived limits which brought down the banks. Banks had to be bailed out in order for there to be any chance of having a functioning economy in the future, despite the bailing out of the banks being largely unpopular. Despite not being against the bailing out of the banks, I still think it is obscene to pay certain bank workers as much as they are paid and to give them such huge bonuses, or any bonuses at all, when a bank is losing money and performing badly. I also feel that it is not the fault of the people for having their houses reposessed, they were left in an impossible position. However, as usual, I find myself speechless about yet another crazy Spanish law – holding people responsible for mortgage repayments even after the house has been reposessed. It never fails to amaze me how many completely unworkable, punitive or restrictive laws there are in Spain, in this case the law allows the banks to have their cake and eat it. If homeowners are still required to repay the loan, let them keep their properties. If the bank takes the house and with it any deposit paid by the homeowner, plus any equity they may have had in the property, then the bank carries that can and no longer gets paid by the people evicted. It’s blindingly obvious. Hello SC , the law is the same in the U.k if the bank repossess your home for failure to pay the mortgage you are responsible for any losses made when it’s sold . 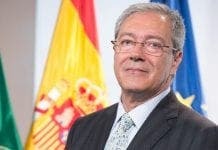 “However, as usual, I find myself speechless about yet another crazy Spanish law – holding people responsible for mortgage repayments even after the house has been reposessed. It never fails to amaze me how many completely unworkable, punitive or restrictive laws there are in Spain, in this case the law allows the banks to have their cake and eat it”. This is also the case in English Law. Same law applies everywhere. Check your facts! Sorry to all if there is a double up to SC response but Lou Lou had not appeared when I posted mine. By the way SC it’s not only the Banks but lenders also. if you are stupid enough to buy a property at the height of an unsustainable property boom and with a 50 year mortgage, which many did then you must pay the price when it all comes on top, not the taxpayer or the European Bank. Blaming the (so called) Socialist government is a complete porky is’nt it? The uncontrolled building frenzy began in the 90’s with the PP did’nt it. The only thing the limpwristed Zapotera could have done was to crash the economy a few years earlier. You are also conflating commercial debt/the banks with national debt. As it happens as much as many of us are critical, with good reason about what the PP/PSOE spent money on they did not run up a huge national debt like in the UK – it was the insane bank lending that brought the Spanish economy to it’s knees. If you make a bad economic decision then you have to pick up the tab – it may just make Spanish people a bit more cautious about taking on debt. Well that’s just crazy, no wonder so many people hate banks, I’m fortunate enough never to have been reposessed. I sort of agree with one of your points Stuart, many people did take on stupidly high mortgages, with a stupidly high LTV and a stupidly high term, but they were mainly Brits who fell into the oft-used ‘brains left at the airport’ category and they never considered what would happen if it all came on top. Ordinary Spanish people just trying to get on with their lives more than likely didn’t make such lavish borrowing arrangements. However you must remember that when PP left power in 2004 Spain had a budget surplus and when PSOE left power in 2011 after massive spending, Spain had a large budget deficit. That is what I have heard many times and I can’t be bothered to check Google before writing it. I don’t know the precise date any building boom started but from what I have seen, a huge amount has been built in the last 10 years compared with before. I still maintain that there are a lot of crazy and punitive laws in Spain, I was only speaking to a Spanish acquaintance yesterday and she was complaining about the state of regulations around starting a business. Yet another example of a failed property market. In the UK, homeowners have a good chance of either selling their property or renting it out if they cannot afford the mortgage payments but this is not a viable option in Spain with a crashed property market and falling rents. The holiday rental route is also likely to get more difficult with the new licensing laws coming in effect and is only suitable for people in tourist areas. My neighbour in the UK ran into financial difficulties a couple of years ago and contacted the CAB who were very helpful. They ran through various options with him and he ended up renting the place out. His work situation has since improved so when his tenants decided to leave he moved back into his property. 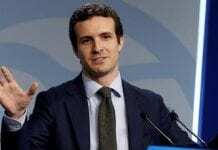 There are also mortgage assistance schemes available which are aimed at helping people hold onto their properties – I am not aware of any such schemes in Spain. As for being chased for the money after repossession, I know that many in the UK take the bankruptcy option which means they effectively wipe the slate clean. This does have a serious downside in terms of credit rating etc. but it does mean they are not chased for the money. Is this not an option in Spain? “Shocking stats reveal 184 Spaniards a day lost their homes in 2013”. That’s 402.960 thousand repossession over a 6 day period during 2013. No mention of Brits. Strange maths and a weird observation. caccia, you are right about the article mentioning Spaniards but stats can be deceptive. I know someone in the UK who remortgaged their house to purchase an off plan holiday home in Almeria but the developer went bust before the building was completed and they lost €90,000. They are now paying this on their monthly mortgage but of course this is not visible in any Spanish stats and if they were unlucky enough to get their UK property repossessed because they could not afford the repayments there would be no actual evidence of it. Many Brits purchased property in Spain by raising capital on their UK homes and it would be interesting to know how many people have suffered a similar fate or have found themselves sitting on a worthless, unsaleable and very often “illegal” property. One thing is for sure, it is a complete mess and the fallout of the Spanish property crash seems endless. Your correct, Stats are deceptive as they have mentioned eviction only and not how many were repossessed by default mortgage. I did try and search that problem but could not find any links prior to my posting so as to give an example of repossessions and evictions in the U.K. I am quite aware of people taking second mortgages and are now paying the price but the article was referring to the amount of Spaniards losing their homes. Even tried to find how many Brits in Spain were involved in repossessions, still no joy, although I must admit didn’t spend hours searching. Perhaps someone else has this knowledge and could give an answer. Not quite sure how they calculated 67.189 when they stated 184 a day. The closest I could come to it was multiplying the 184×365 giving 67.160, give or take a few days for the odd weekends. Did come across a site where Brits just handed the key back but it did not mention their obligations to still repay the outstanding mortgage’s. Under the treaties that have been signed between countries regarding assets in other countries whether the Spanish banks can freeze assets, shall we say, in the U.K and place a lean if they own properties or even force a sale. If no assets at all accept that was in Spain then no doubt they would be black listed and difficult to get credit or even a mortgage in that country or anywhere. Early day’s yet and would be interesting to see if the banks and lenders in the U.K would cooperate. Not being personally involved in these matter’s I don’t have a clue, but going on what you have said regarding a person you know that continues to repay a mortgage something tells me that the obligations are to be met as in law. Perhaps you could ask the person you know and enlighten us further. P.S The person you know had remortgaged their house in the U.K so unfortunately they have to repay, but as said, not a clue if mortgage was obtained in Spain what the situation would be. Everybody is calling banks and politicians crooks and thiefs, but it is from these same people that everybody asks for money and vote for…My father lurned me to buy something when i had the money…not before, or some one would own me…That doens t take away the fact that banks ans politicians are crooks…. caccia, the person I mentioned who lost €90,000 on a holiday home in Almeria remortgaged their UK property to pay the developer money upfront. I think they got as far as two instalments before the developer went bust and was unable to complete the construction of the urbanisation. The case did go to court and all the claimants were awarded compensation but the developer declared himself bankrupt and they have yet to receive any money – they probably never will. This may not be a conventional repossession case but if he finds himself unable to keep up his mortgage repayments because of the extra €90,000, it will become an indirect repossession and will not show up on any Spanish stats – I wonder how many others have found themselves in the same situation. This scenario is yet another one to add to the Spanish property market chamber of horrors. I think you will find that there were plenty of Brits with Spanish mortgages who have been repossessed but most of them are long gone. Like you, I have tried looking it up but it’s difficult to get any official figures. Not sure about them being traced in the UK and forced to cough up but I would say it is extremely likely in these days of increasing cooperation between EU countries. Yes, world events and banks have helped this along the way but the Government of Spain are the people who have caused the most damage in my opinion. It is expensive to be self-employed in Spain and even more expensive to hire and fire people in Spain along with bad P.R. knocking houses down and the threat of such, add uncontrolled corruption in and a world recession then you have a recipe for a disaster. If they wanted to change their ways they have had the best time to do it, in a recession but no, carry on with your heads buried in the sand. The real culprits are the politicians and they show no sign of even thinking about changing, they are brain washed. The sports stars of Spain are world class but the politicians are amateurs. They do need some more intelligent people running that Country. There are over three million empty homes in Spain. I read in the news today that they are evicting a 104 year old lady from Madrid. Perhaps the OP should cover that story?